There is a revolution in the financial services industry. As technology evolves and creative professionals from across the globe show the direction financial services should head, a team of young people based in the heart of Transylvania lead by Levente Tibád are among the leaders in this geographical area trying to reshape the payments industry with a KPEye, a service that brings welcome benefits to small and medium-sized enterprises (SMEs). SMEs represent 99% of all businesses in the European Union. After looking into this sector, Tibád and his team noticed an unfortunate pattern: despite having great ideas and professional knowledge, some SMEs and startups fail because they lack the expertise to operate their business efficiently, build a network, increase sales, and measure results. In other words, they struggle to identify and analyze key performance indicators (KPIs). Magic Solutions’ service, KPEye software, seeks to meet this market demand. Tibád and his team are based in Csíkszereda/Miercurea-Ciuc and started working on this project a couple years ago after a study conducted by the company and funded by the Romanian government confirmed their remarks. The first version of the KPEye Web application combined with a mobile version was born based on their observations and developed to match demands identified in Central Eastern Europe. As they started writing the code Tibád and his team quickly realized that they had just scratched the surface and that the lines they were writing could be part of something bigger: the fintech revolution initiated by innovative business owners across the globe looking to bring a welcome change to the slowly moving banking environment. Announced at the end of 2017 and in force since January 2018, the EU’s revised Payment Services Directive (PSD2) laid down a framework that fosters safer electronic payments in shops and online, while allowing consumers to access more convenient, cost-effective, and innovative solutions offered by payment providers. With that directive in mind, Tibád has envisioned a service that addresses the demand identified from business owners and at the same time incorporates fintech features such as instant payments. 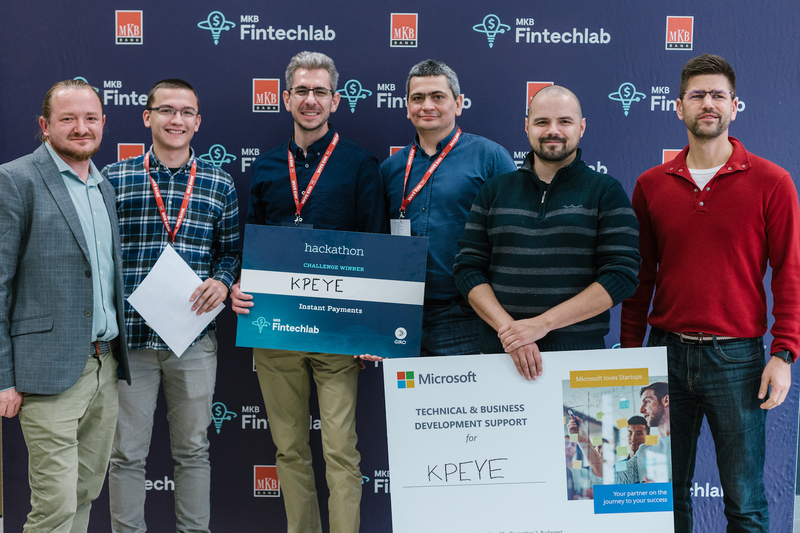 The Fintechlab Hackathon competition organized in December 2018 by MKB Bank and Oracle in Budapest played a role in putting that vision into a minimum viable product (MVP). In less than 30 hours, the Magic Solutions’ team led by Tibád managed to scrap all their previous work on KPEye and rebuild the service from scratch, combining the latest technological advancements with the latest developments in the banking industry: the Open Banking API. Ultimately, the team managed to win a prize with their service that integrates instant payments and provides all the necessary features business owners need to quickly solve daily tasks. By using KPEye, the business owner can finally focus on increasing sales and getting instant access to information relevant to business decisions. Although the final version of KPEye is still under development, Tibád is confident that it will be among the first services to meet market demand in Hungary and Romania when the banking system will finally comply with PSD2 and starts speaking “the same language” of open banking. That also involves instant payments, which means that the money transferred from one account to another should arrive in less than five seconds. “This is just the first chapter in the revolution,” Tibád said in a phone interview. The company he leads is preparing to launch the demo version of the software soon. Those interested will be able to sign up for an account, test the service, and send their feedback, so the final version of the web software matches the needs of SMEs.